New Gul Brothers General Merchants is a general merchant trader. 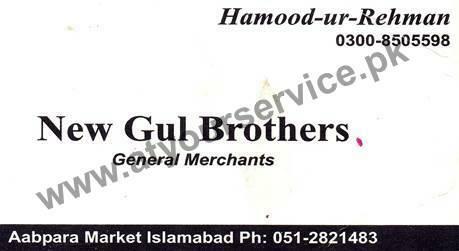 New Gul Brothers General Merchants is located in Aabpara, Islamabad. It is a general merchant trader.